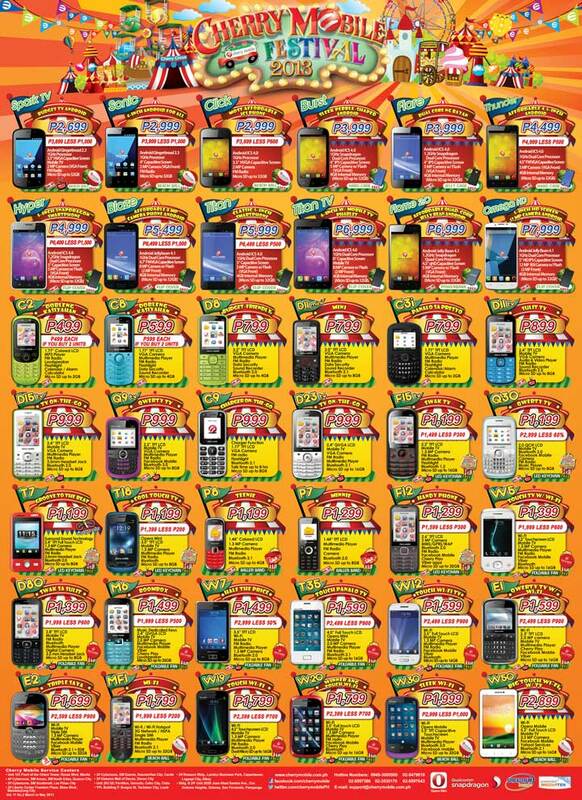 Home Gadgets News Smartphones Cherry Mobile Festival 2013 Price List, Spark TV, Sonic, Click and Hyper unveiled! Cherry Mobile Festival 2013 Price List, Spark TV, Sonic, Click and Hyper unveiled! Cherry Mobile just unveiled their latest price list of mobile phones this festival season. 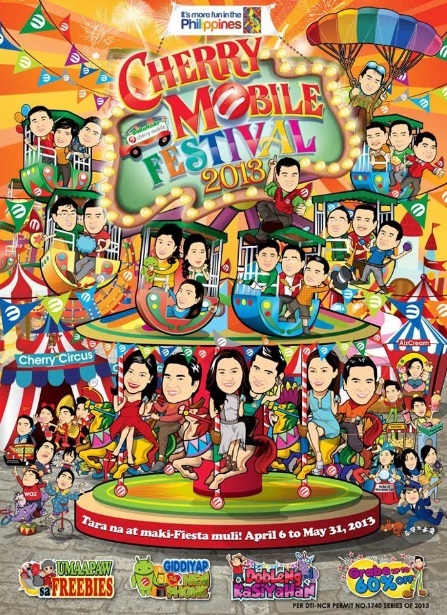 Dubbed as "Cherry Mobile Festival 2013," is now available at all Cherry Mobile stores, kiosks, and accredited dealers nationwide from April 6 until May 31, 2013 only! If you are wondering about the price of these phones. Well, don't worry, the latest price list for Cherry Mobile phones can be viewed after the jump. For more info about the Cherry Mobile Spark TV, just go here. For more info about the Cherry Mobile Sonic, just go here. For more info about the Cherry Mobile Click, just go here. For more info about the Cherry Mobile Hyper, just go here. For more info about the Cherry Mobile Blaze, just go here. For more info about the Cherry Mobile Titan, just go here. Why my cherry mobile phone "Spark" won't tilt when playing Temple Run? why this is happening..?? is this normal for the unit of my phone? ?